Side Note: It was discovered in Summer of 2018 that this was the very FIRST 9-2x Prototype Made. Making this a special car in deed for the Saab Heritage Car Museum! Following the successful launch of the entirely new 9-3 Sports Sedan, Saab set an all-time sales record in the United States in 2003. But clouds loomed on the horizon, as several European competitors announced new premium compact products, threatening to undercut the 9-3’s market position. Lacking a homegrown anser, Saab found a suitable product solution by creating the 9-2X. It was produced for Saab by GM’s strategtic alliance partner, Fuji Heavy Industries of Japan, with exterior and interior styling, chassis development and overall refinement done by Saab in Sweden. 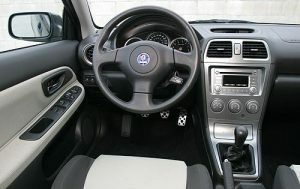 Being the first-ever Saab to offer all-wheel drive (AWD) as standard equipment, the 9-2X debuted in the United States and Canada in the summer of 2004. 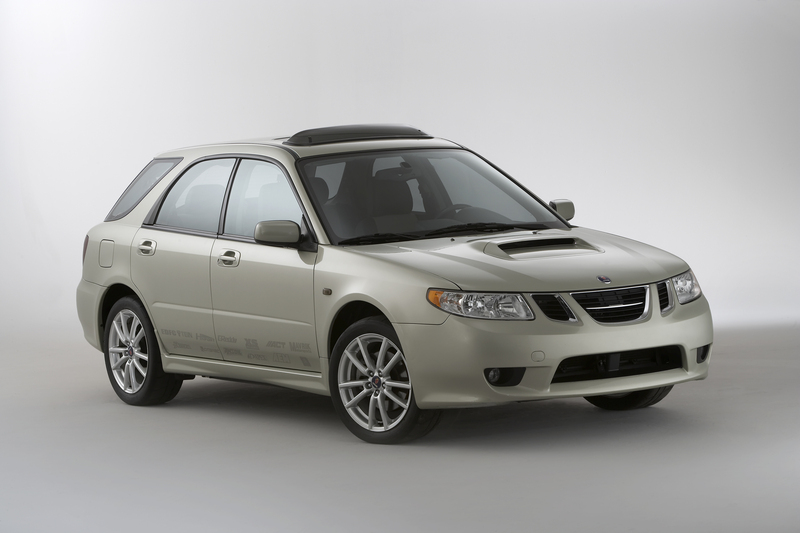 It was available in two versions, both featuring horizontally opposed four-cylinder engines: the normally aspirated 165-horsepower 2.5L Linear and the turbocharged, intercooled 227-horsepower 2.0L Aero. 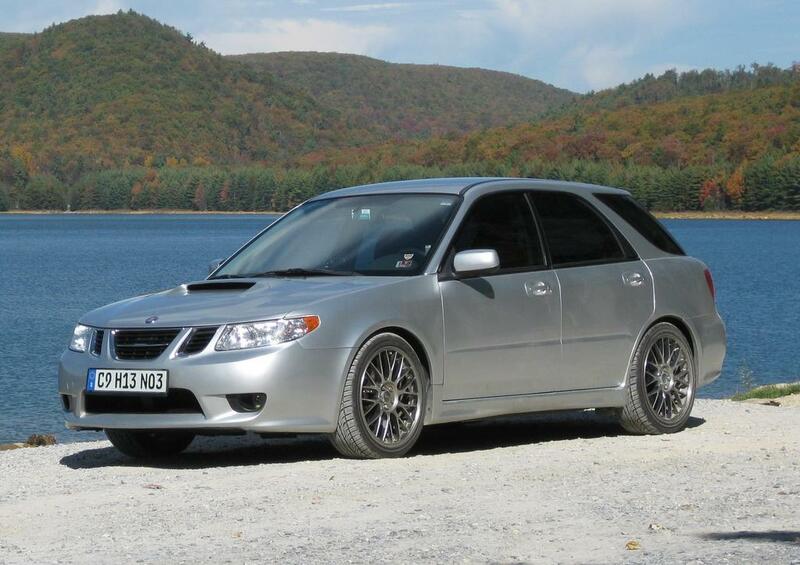 The latter was directly recognizable by a more aggressive front fascia, plus a functional air intake on the hood. 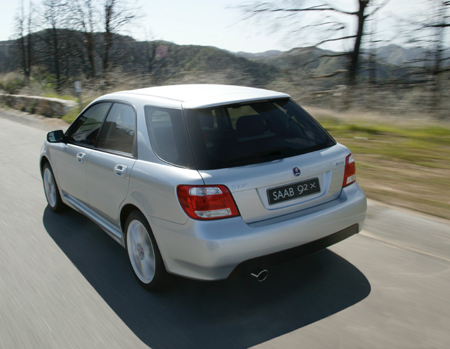 The 9-2X attracted a passionate following, consisting mostly of young customers who were new to the Saab family. The car also won important awards and recognitions. It received the Insurance Institute for Highway Safety’s “Top Safety Pick” Gold Award (along with the Saab 9-3) for its outstanding crash test performance. 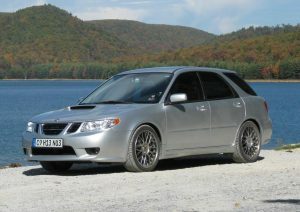 Consumer Reports named the 9-2X (along with the Saab 9-5) a “Recommended Buy.” Saab sold nearly 10,300 9-2Xs. 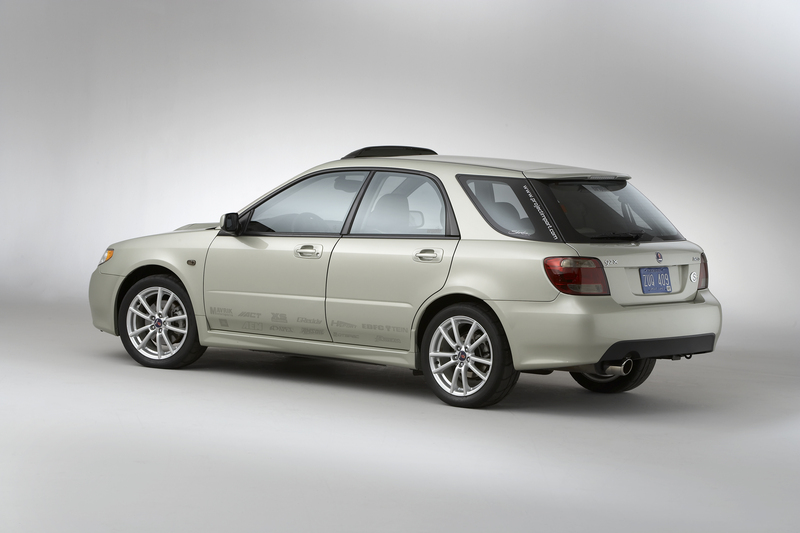 When GM and Fuji Heavy Industries dissolved their partnership, production of the Saab 9-2X came to an end in 2006. The Smoke Silver Metallic 9-2X Aero in the Saab Automobile USA Heritage Collection is a very early 2005 model. It served as a long-term test car with Los Angeles-based European Car Magazine, which provided the car with several enhancements and upgrades. I got a called from the boys at GM saying they were ready to sell this car. I drove out to Detroit and bought it the fall of 2014 with my son Nate. We drove it home and it runs great. Tires are noisy as someone appears to have ran track tires on it. Very sticky they are!